Childrens Aid have donated new iPads to hundred of children throughout the country. Below Steven Irvine from the committee is presenting 3 ipPads to Caroline Speirs of Calum's Cabin. Staff and Children at East Park , Maryhill Road in Glasgow were absolutely thrilled to receive a brand new mini bus donated by Children's Aid. East Park has provided education and supported accommodation services to children and young people with additional support needs including autism since 1874. All their services focus on the needs of young people and are provided in a way that encourages partnership with the child and family. The fantastic new mini bus provides seating for 8 people plus wheelchair access. This will make a huge difference to the lives of many young people at East Park. They can now enjoy additional activities and days out with friends and family. Some senior staff and children attended along with Children's Aid committee members David Jaffe (joint chairman) , Tom Cromar (trustee) and Gerard Minster. Everyone was delighted with the new mini bus and the staff and children could not be more thankful to Childrens Aid for this wonderful donation. David Jaffe stated " Children's Aid are delighted to support East Park with this fantastic mini bus. This is one of many projects we have supported throughout this year and many previous years. After another successful year of fundraising our committee will continue to provide funds for similar major projects throughout Scotland. We hope East Park have many years of pleasure from their new mini bus "
Children's Aid Scotland were proud to provide funding to PALS (Play And Learning Support) back in 2015. View the following PDF and see for yourself the difference the funding has made to these fantastic kids. 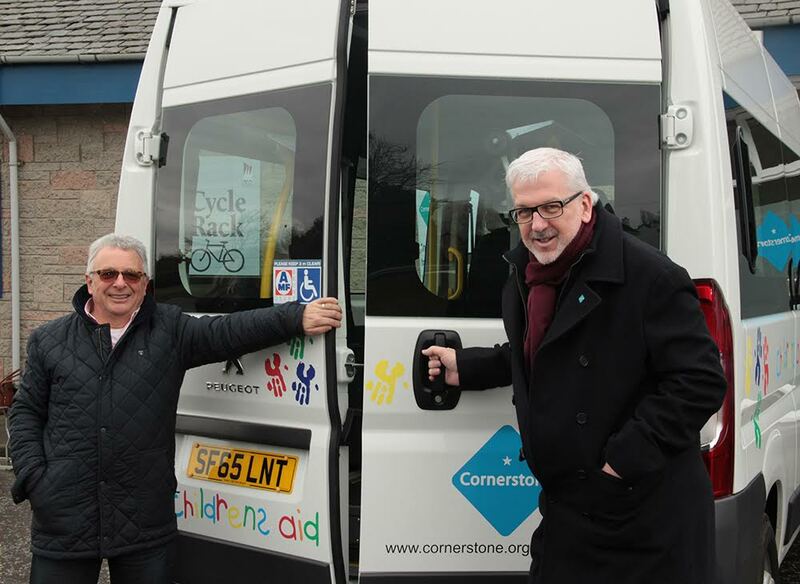 Children and young adults supported by Scottish social care charity, Cornerstone, in the West of Scotland will now have access to even more activities, days out and trips thanks to the donation of a mini-bus by Children’s Aid. Cornerstone initially applied to Children’s Aid for part-funding for a new bus after parents had identified transport as one of the main barriers to their children accessing the services. However, Children’s Aid decided to cover the entire cost and this month the Cornerstone office in Rhu took delivery of the bus, which will provide transport for all of Cornerstone’s children’s services in the West. One of the services to benefit from the new bus is Jigsaw Cornerstone, based in Rhu. Jigsaw provides a support service for children and young people with disabilities and other support needs, giving them the chance to meet with people their own age, make friends and enable them to be as independent as possible. 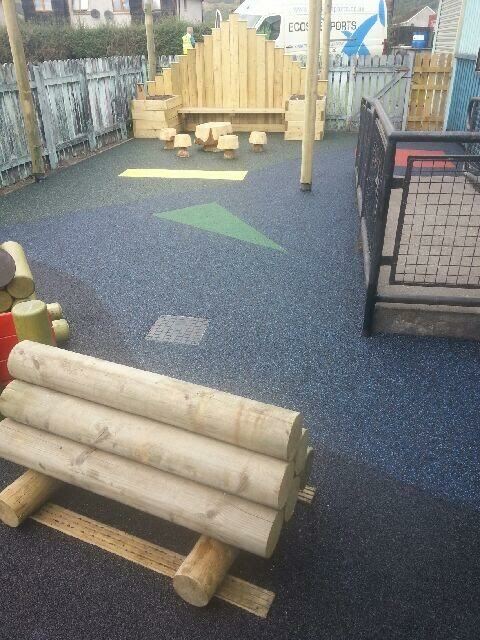 At Jigsaw, the staff work with the children and young people to create a safe and happy environment where they can reach their goals through engaging and fun activities. Susan Lorimer, Cornerstone’s Children Services Manager, said: “This is an incredibly generous donation by Children’s Aid and will allow us to support more children in harder to reach areas and co-ordinate our activities around the needs of the children and families we support. "Childrens Aid are delighted to have been able to support Cornerstone and fund their new bus. We are always looking for major projects and were only too delighted to respond to their request after a successful year of fundraising by the committee. We hope the new vehicle will prove a great success"